Enable Gmail’s New Inbox. Change the default tabs. Use labels for “Follow-up” and “Waiting For” and do a weekly review. If you always seem to be drowning in email overload, you’re doing it wrong. You may have already decided to cut your email checking time down to a couple times per day, but if you add in the following five things to your email process you could be saving a couple hours every week! 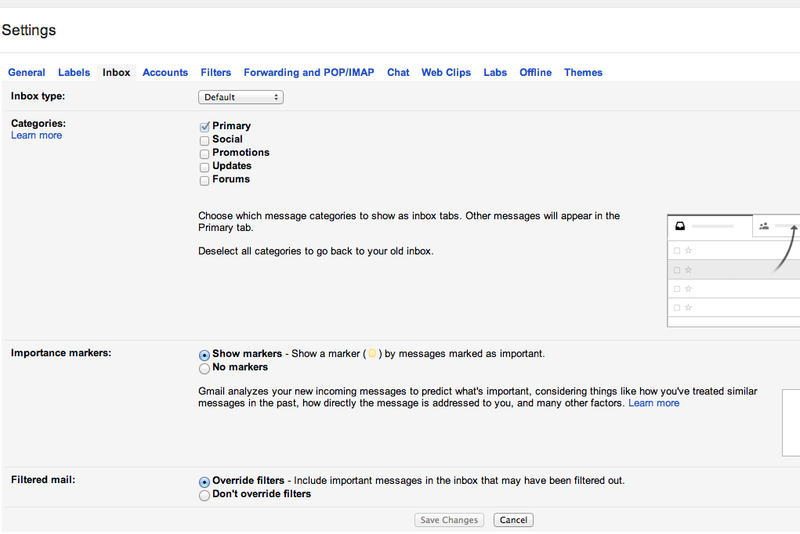 After years of setting up custom filters and searches to streamline our inboxes, Gmail brought us the Priority Inbox. 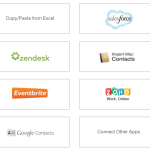 Then, more recently, they rolled out the New Tabbed Inbox with a tabbed approach of options: Primary, Social, Promotions, Updates, Forms. If you’re not using it yet, go enable it. It may take a couple days to get used to, but it’s worth it if you set things up correctly. Or if you’re giving the New Tabbed Inbox a try, remember that you don’t have to use all five tabs. 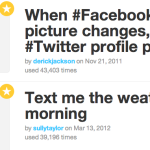 I only use the Primary, Social, and Promotions tabs. After a couple days you get the hang of which tabs are right for you. Remember you can tell Gmail to get smarter two ways: 1. drag emails to different tabs or 2. right click and select “Move to Tab” Then, make sure to click “Yes” when Gmail asks if they should do this for future messages from that email address. And guess what? If you hate both of these options you can just go in to your settings and go back to how it used to be. As you were, moving along. If you had any old filters set up that directed things to labels or marked things as read, keep in mind that the new Gmail will keep on trucking, so all those filters will still keep going, but you won’t see those emails in your new Tabs up top! There’s a box you can check in the Settings to override current filters. 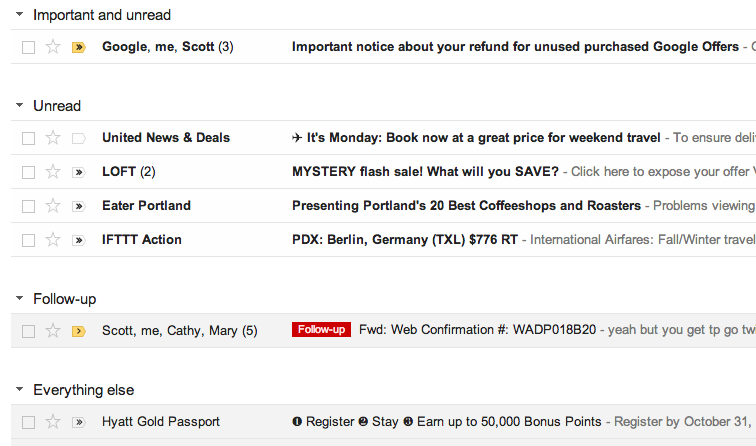 I originally had used labels for what Gmail’s “Promotions” Tab is similar to. So now I direct all my shopping emails over there instead (This way, when you’re actually in need of a coupon code or heading to a store, you are still signed up for their deals). 2. Are you waiting for anything still? If you replied, but it matters that you get a response, or if the email is more of a notice of something that isn’t complete, label as followup. (Example: I emailed that friend back and said, “Yes, how does last two weeks of November sound?” or I ordered something online and I received an order confirmation email.). Remember, this process only works if everything Unread is untouched/new, and everything Read (but not labeled as Waiting For or Follow-up) doesn’t matter/has been dealt with. Do you have any Gmail hacks to add? 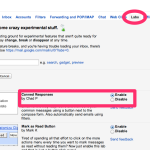 This is Part I in a series on making Gmail do the hard work for you! 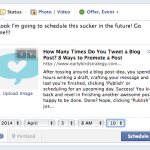 Are You Making These 16 Mistakes on Facebook? Can I delete all my previous filters at once or do I have to do it one by one? Hannah, you can click the “override filters” option under Settings>Inbox, which seems to just override with ones it deems important? Or if you want to start from scratch (which I ended up doing), you can got to Settings>Filters, and scroll all the way to the bottom to use the “Select All” option and then delete. Kinda weird that they hide that option at the end of the list eh? 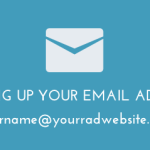 Any tips for how to avoid your emails from getting banished to the “promotions” tab when sending out newsletters to a group? So when you start using the new inbox, how often do you go hunting for the things that Gmail is “missing” in order to train it properly? And where do you look? I don’t have to go “hunting” because they will just show up in one of the tabs (Primary, Social etc). Then if I think it’s in the wrong place, I’ll drag it to another tab and when it asks if I always want to do this, I click “Yes”. Okay, but if you’re only using some of the tabs, what happens to the emails that would go in one of the other tabs? Do they still go to that tab, & there’s another way to look at the emails there (other than clicking on the tab at the top of your inbox), or do they refile those emails elsewhere? Also… If you use the tabbed inbox but don’t use all of the tabs, where do the emails go that would have been filed in one of the unused tabs? I’m assuming Gmail puts them SOMEWHERE, doesn’t just let them hang in email limbo undelivered. lol, yeah, they’ll just dump it into Primary tab usually until you tell it otherwise. It’s not a perfect system, I would love it Gmail let us create our own tabs up there. Then I would put “Follow up” tab up there!